With the number of active listeners across the UK growing exponentially, podcasts have revolutionised how we consume information – whilst bringing a much wider range of voices and ideas to the forefront. 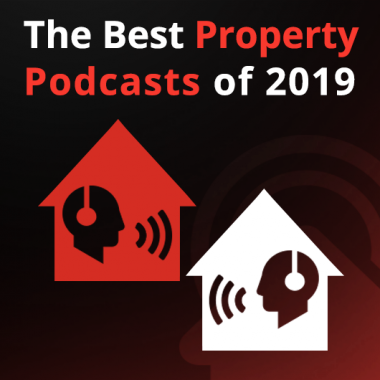 Accessible for free to anyone with a smartphone, the growing number of podcasts specifically dedicated to the property industry has been particularly encouraging. Excitingly, as more property podcasters compete for listenership, content quality and production values continue to improve. Below we have highlighted some of the more interesting ‘on demand’ audio resources that are well worth checking out. However, before doing so, please read our disclaimer at the end of this post. Please note that The Property Investor Blog’s recommendations in this post are not direct endorsements of the individuals or any associated companies behind these podcasts (with whom we have no affiliation, financial or otherwise). In an age where property investment scams are rife, we strongly recommend undertaken comprehensive due diligence on courses, mentorship programme, crowdfunding initiatives or other offerings. We also strongly suggest speaking with a qualified accountant with demonstrable experience of working in the property industry.